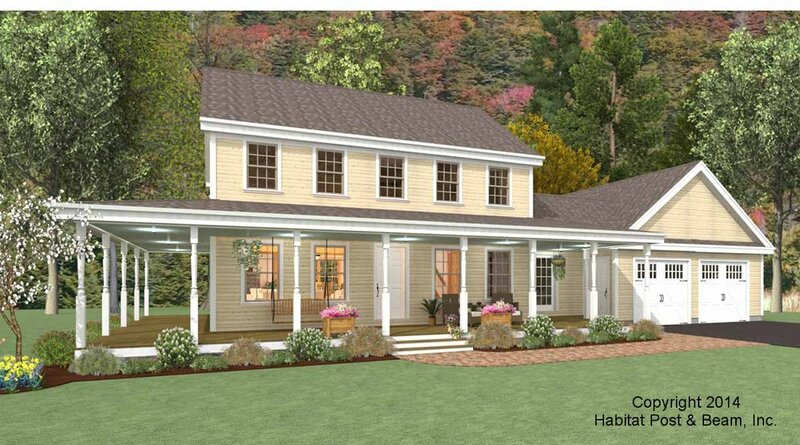 This house is inspired by traditional colonial homes found throughout New England. 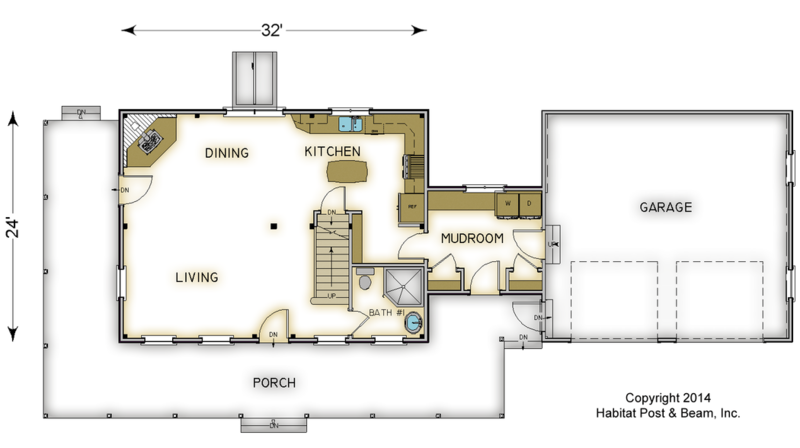 While the home is under 1,700 square feet, the open floor plan makes it feel much larger. 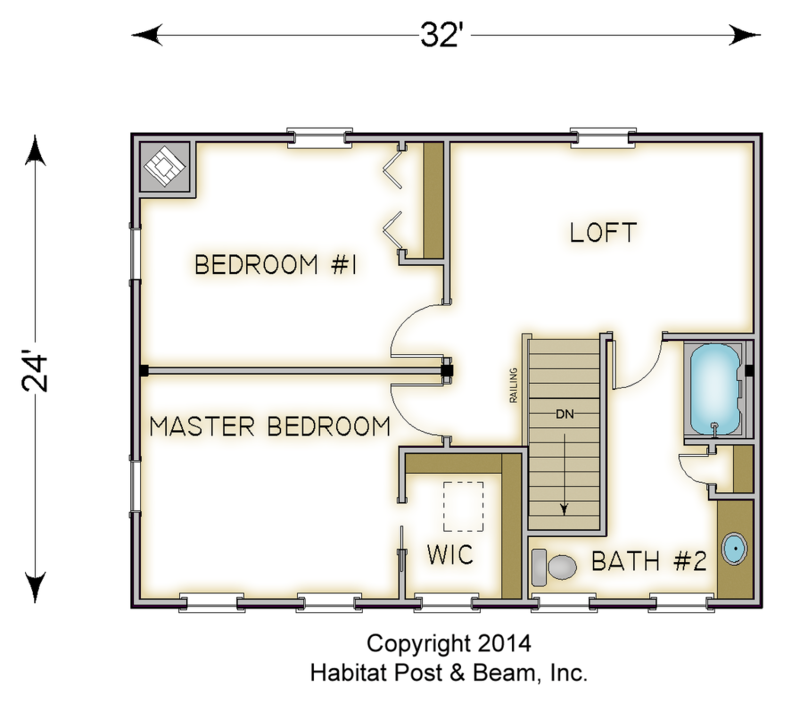 There are two bedrooms and a shared open space upstairs. Most designs can be adapted to add or remove walkout basements, garages, porches, etc., as desired (framing materials by owner/contractor). 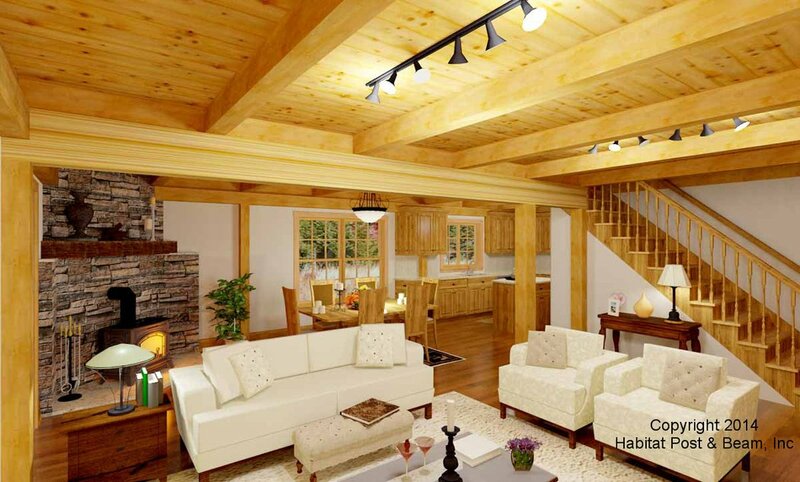 Package Price: $116,000 as specified below (from $110,500 to $141,500 depending on framing options). For information about total costs, click here. The standard price includes our Full Exposure Wall System, Plaster and Beam or Beamed Mid-Floor System (same package price) and our Plaster and Accent Beam Roof System over the upper level with cathedral ceilings. The garage and connector are not included in the above pricing. Depending on framing options you select, the price could be lower or higher. This price is valid through 2019; prices generally increase about 2-3% per year after pricing date. 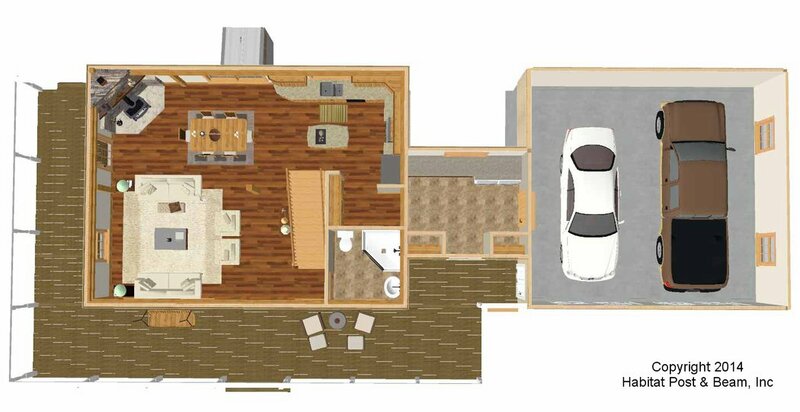 Walkout basements and/or garages can typically be added to any home, but are not included in our initial price (whether drawn on plans or not). Prices are based on engineering requirements of up to 90 mile per hour wind speed, up to 65 pound snow load, and low seismic activity zones. Our packages can be adapted for higher ratings; this may result in a higher price. Pricing errors on our site are rare, but a price change for your package may be required if a mistake is found. Members of the Better Business Bureau, National Association of Home Builders, and more. View our Facebook page.